Last year I wrote about Why You Should Avoid Traveling to Western European Countries. It was one of my most controversial posts of the year. A lot of commenters said that the price of goods in Australia is even worse than Western Europe and it’s probably true. With that said, I can safely say that Australia is not on the top of my list of destinations to visit. Prior to writing “Why You Should Avoid Traveling to Western European Countries”, I had booked one last trip in fall of last year to Geneva, Helsinki, Nice, and Monaco as a Western European mileage run for Executive Platinum status. I knew what I was getting into, but some of the prices were beyond expensive for mediocre food and drink. Geneva was shell shocking as my Iced Venti Caffe Mocha at Starbucks came close to $10. The price I pay for the same drink in Los Angeles is about $4.50. 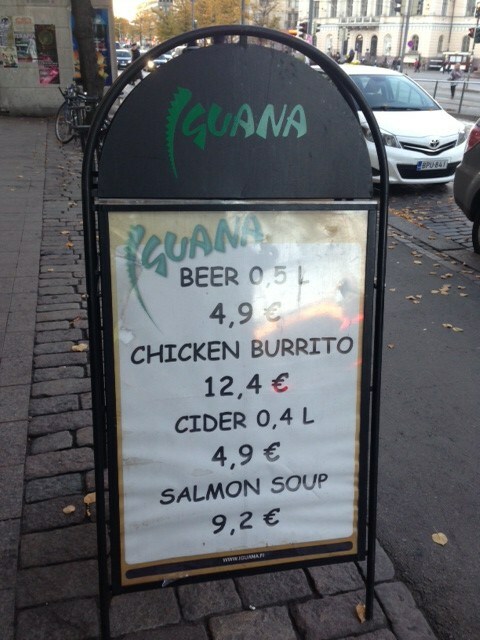 Helsinki was out of control as a chicken burrito was 12.4 euros ~ $16.28 USD. The prices in Monaco were equally out of control as it’s a billionaire’s tax free haven playground. It costs 16 euros ~ $21.00 USD for a double espresso. That is ridiculous and even Ben from One Mile at a Time thought so too. Two weeks ago, I had a 20 hour layover in Frankfurt when I was returning from my 10 day trip to the UAE (United Arab Emirates), Oman, and Istanbul. 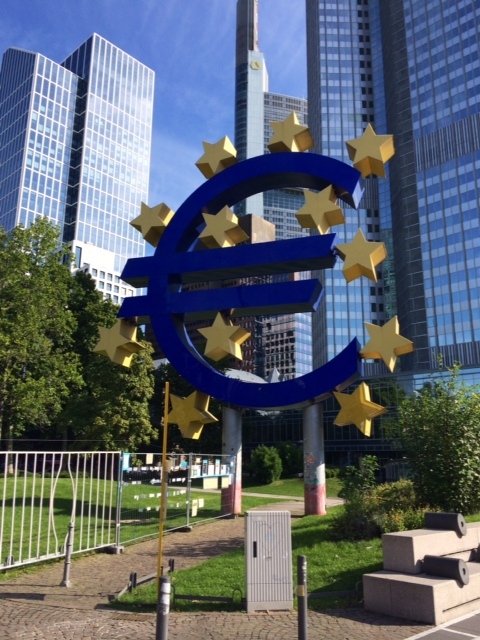 I had never been to Frankfurt before and I booked the Le Meridien Parkhotel in the city center. Since I got in late to the hotel, I didn’t have time to sightsee until the next morning. 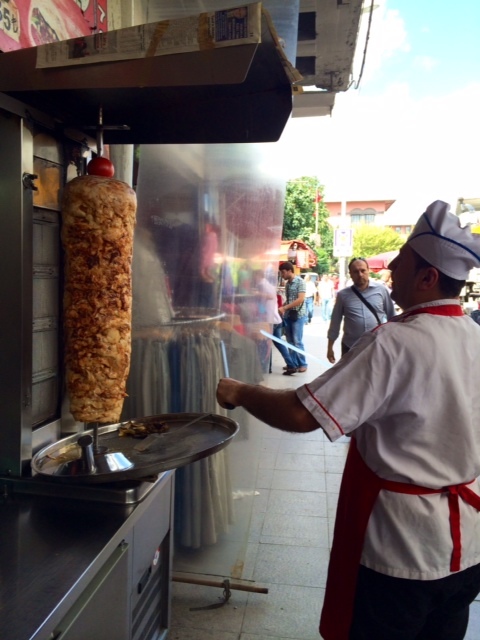 I was roaming around the Frankfurt main train station area and found a lot of Turkish cuisine nearby. 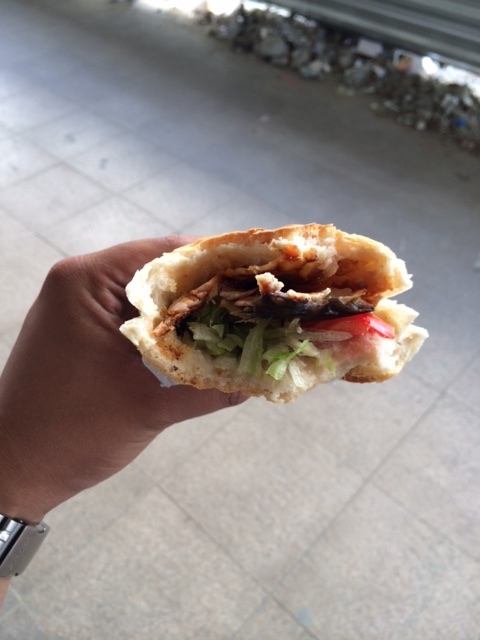 It was shocking to see that a small Doner kebab sandwich was priced at 4.50 euros ~ $5.91 USD. I had the same exact sandwich the day before during an 8 hour layover in Istanbul and the price was 2 Turkish Lira ~ $0.92 USD. As you can see, there is a huge disparity in prices between Western Europe and Eastern Europe for the same exact thing. What was the most shocking was purchasing a 16oz carbonated soft drink in Frankfurt. 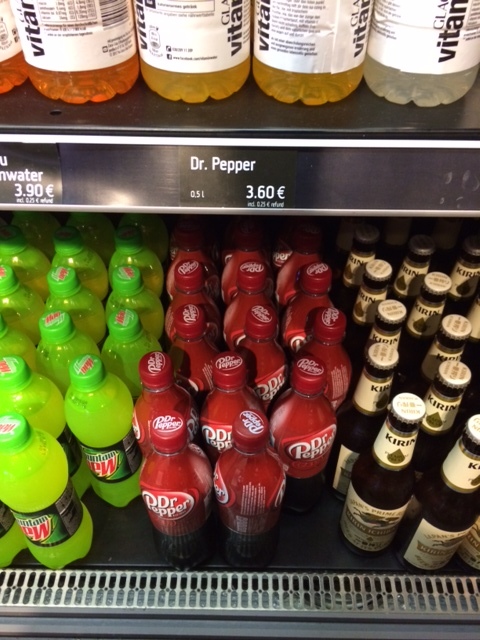 I couldn’t believe my eyes when I saw that Dr. Pepper was priced at 3.60 euros ~ $4.72 USD. 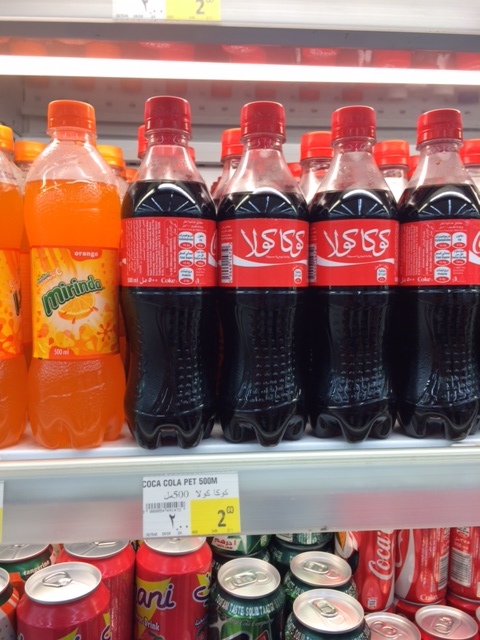 I was so used to UAE prices where you can pick up a 16oz soft drink for 2 Dirhams ~ $0.27 USD. 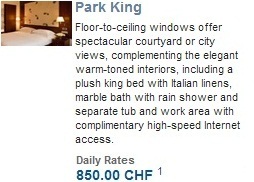 I understand why these prices are so inflated in Western Europe. First of all, the prices are all-in (VAT included, no taxes), so the price of what you see is what you get. In Europe, a job at a restaurant (considered a profession) is $15 an hour with full benefits like healthcare and a mandatory four week annual vacation. In addition, it doesn’t help at all when the US Dollar is vastly weak against the mighty Euro. I am just sick and tired of seeing these expensive prices and I understand that I don’t have to pay them, but sometimes it’s tough to avoid it when you’re in Western Europe. I don’t make my way to book a trip to Western Europe as a destination anymore, but I will gladly build in less than 24 hour layovers as part of a larger trip. How do you cope with these outrageous prices in Western Europe or am I just being cheap? Save up to 50% off Starwood Hotels in Europe for travel until June 30, 2013! 11 Comments on "Why I’m Still Avoiding Travel to Western European Countries"
tough to compete on slave labor pricing from the UAE and compare it to first world Europe. Travel where you want but be respectful of those that need to earn a living wage in their country. “Travel” has it right, those cheap costs in other countries have their own hidden or not so hidden costs. I understand your sentiments but any list of travel boycotting should at least include countries whose entire infrastructure is based on exploitation of human beings. I’m definitely not boycotting any countries since I would make an effort to build in <24 hour layovers with an overnight in Western Europe. I just don't make it a point to travel there as a destination anymore. Some people prefer travel in Europe and some people avoid South America altogether – everyone is different! yep, Central & Eastern Europe prices are so much better. Those prices are the result of a liberal and socialist fantasy system that the counties run on. Their environmental laws and taxes drive up the cost on everything. People say they “make a better living” in Western Europe, but their standard of living pales in comparison to the US. Poor people in American only have one car, whereas middle class families in Western Europe might own, if anything, a vehicle slightly larger than a shoebox! This is comparing apples to oranges. Environmental laws in Europe are there to make the way we live a little bit more sustainable and a little less stressful at the price of being a little less comfortable. While a lot of families in Western Europe own at least two “shoeboxes” smaller, lighter and more technically advanced cars in Europe mean less fuel use and less pollution. The drive towards low fuel consumption is fostered by highly taxed fuel which you can also see as an incentive not to waste a limited resource. Social nets mean it’s not your own problem if you lose work or suffer from a long-term illness (admittedly with the risk of the system being abused by those not in need). As for food prices, don’t use airports and train stations as a benchmark. While it might be true for central London, Paris and the Scandinavian countries, it is certainly not true for Germany, Austria and Italy where you can eat excellently at reasonable prices a few meters off the beaten (tourist) track. In Florence you’ll pay through the nose for a cone of ice cream on Ponte Vecchio while 500m away you can have your ice with the locals at perfectly reasonable prices. A sit-down Pizza that costs way above 10 EUR along the tourist routes is 5-6 south of the Arno. You’re being a bit narrow minded and cheap. Just look at pricing in the USA where it varies between LA and Texas for example. Western Europe is even worse with the reasons you mentioned. What I don’t understand is why people will spend a ton of effort & money to get the points for a Europe trip then complain about how much it costs. In the end, you are visiting Europe for a fraction of what it really costs. I think perspective in order. Thanks for the feedback Shane. I mentioned that I would still stop in Western Europe on a 24 hour layover, but I won’t make it an effort to make it my final destination when trip planning. I used to be fascinated with W. Europe and have been to Paris, London, Amsterdam, and Rome a countless number of times in my earlier years of travel. I agree with you that when people use miles and points to make W. Europe a final destination, they should not complain about price since they knew what they were getting into. Jamison, you can get your food (doner in your case) in Germany for much, much cheaper, you just have to know where to find it (further away from the train station, everything is inflated close to it). Same goes for your Dr. Pepper. In the case of a doner, what would be an acceptable price to you? I try to compare the doner pricing to let’s say a Big Mac or Whopper and I believe the doner is a bigger portion and healthier option. If you want to go for cheap food in Germany, check out the supermarkets. I am always surprised at checkout how much I get for my money, compared to when I was living in Canada. You can easily get a 1.5 liter bottle of Coke, Sprite etc. for a Euro or less at the a.m. supermarket chains and a doner for 3 Euros or less at other Downtown Turkish restaurants (I wouldn’t buy it for enything less, as I would question the freshness of the ingridients used!). I appreciate your feedback Wolfgang. 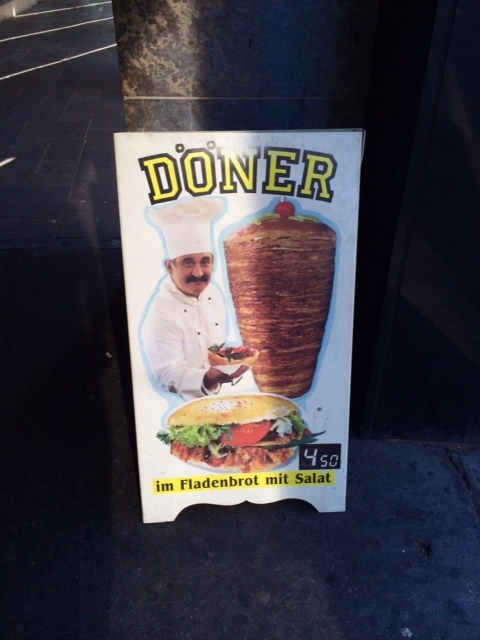 An acceptable price for a doner would be $4 for takeaway.